Find out where you can catch the elusive Dratini in Pokémon: Let's Go. 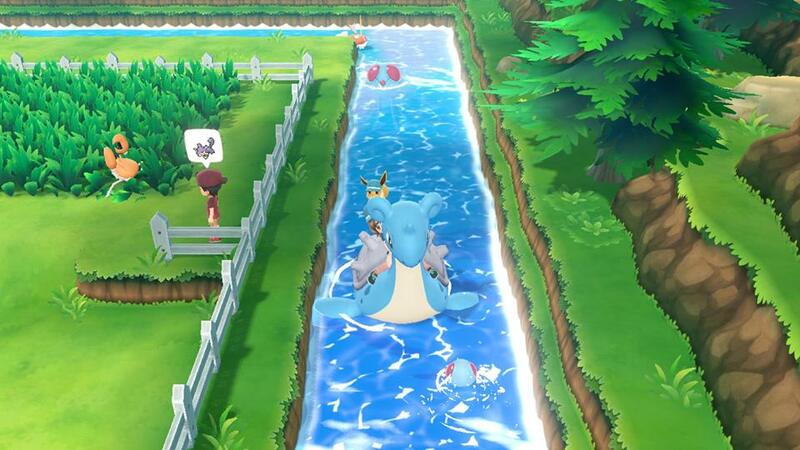 In Pokémon: Let’s Go, players have been wondering where to get Dratini. As a rare spawn in Pokémon: Let’s Go, there’s only one area where Dratini can be found in the wild. Alternatively, you have the option to use the GO Park Complex if you have a Dratini available in your Pokémon GO inventory. For more information, read on to find out where to get Dratini in Pokémon: Let’s Go! Below, we'll walk you through where to get a Dratini in Pokémon: Let's Go. If you’re wondering where to get a Dratini in Pokémon: Let’s Go, you’re certainly not alone. 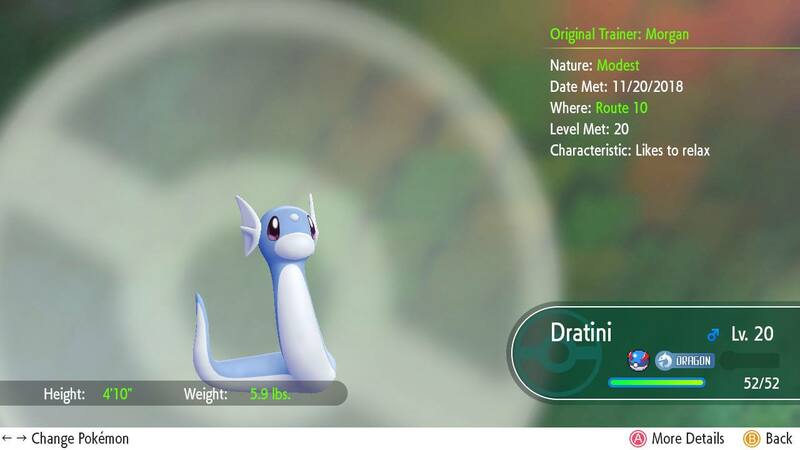 In Pokémon: Let’s Go, Dratini is a rare spawn that can only be found in one area of the game. To catch Dratini in the wild, you’ll need to travel over to Route 10 near where you find the Power Plant. For more on how to get to the Power Plant and what lurks inside, be sure to check out our previous guide. In this area on Route 10, Dratini has a chance to spawn in the wild. Note that Dratini will only spawn in the water, meaning you’ll need to learn a Secret Technique called Sea Skim before you can catch Dratini. Even with Sea Skim available, you can go back and forth over the water on Route 10 and never encounter a Dratini as the Pokémon has a low chance to spawn. To increase your odds of spotting a wild Dratini, you’ll want to make use of the game’s Catch Combos. For example, in the grassy area near the water where you find Dratini, you’ll want to farm for the same type of Pokémon. By catching the same Pokémon over and over again, you increase your Catch Combo bonus. You can find Dratini and Dragonair in the waters near Route 10 in Pokémon: Let's Go. We recommend getting a Catch Combo of 10 or more before using Sea Skim on the water. Why? Well, we were able to find a Dratini and even Dragonair fairly quickly once we earned this Catch Combo bonus. Alternatively, you can bring Dratini into the game using the GO Park Complex in Fuchsia City. For more information on how to transfer Pokémon from Pokémon GO to Let’s Go, be sure to check out our previous guide. Essentially, by connecting your Pokémon GO account to Pokémon: Let’s Go, you can bring Pokémon caught on your mobile device over to the GO Park Complex. The GO Park Complex replaces the Safari Zone in Fuchsia City and works in a similar, yet different manner. After you transfer a Pokémon into the GO Park Complex, you can enter the GO Park and catch them. By catching them, you add their information to your PokéDex. To recap, you can get Dratini by visiting the watery areas of Route 10 and using the Catch Combo bonus to increase your chances of spotting a wild Dratini. Alternatively, you can transfer a Dratini into the game using the GO Park Complex in Fuchsia City. Have you caught a Dratini yet in Pokémon: Let’s Go? Let us know down in the comments below! For more on Pokémon: Let’s Go, be sure to check out some of our previous guides including all Candy types in Pokémon: Let’s Go, how to get through the Silph Co. building in Pokémon: Let’s Go, and where to get all Outfit Sets in Pokémon: Let’s Go. By reading through this guide, you should now know where to get Dratini in Pokémon: Let’s Go.